A110-22 FBO ON FREQ 130.75. A110-38 WILDLIFE HAZARD MGT PLAN IN EFFECT; POTENTIAL BIRD HAZARDS MAY EXIST ON AND INVOF ARPT; BE ALERT TO LARGE NUMBERS OF STARLINGS AND CROWS POSSIBLE ON APCH TO RY 26L AND RY 26R, HAWKS, EAGLES, FALCONS AND OWLS SPOTTED ON OCCASION. A110-39 TWY S-3 AND TWY S-4 RSTD TO ACFT WITH WINGSPAN 117 FT OR SMALLER. A110-40 PILOTS SHOULD USE JUDGEMENTAL OVERSTEER ON TWY H, TWY S-3 AND TWY S-4. 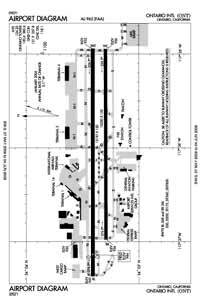 A110-43 NOISE ABATEMENT PROCEDURES IN EFFECT; FULL-LENGTH TURBOJET DEP ENCOURAGED, NIGHTLY PREFERENTIAL RWY USAGE, 2200-0700. A110-44 EASTBOUND B747, B777, A330, A340 OR LARGER ACFT ON TWY S PROHIBITED FROM NORTHBOUND TURNS ONTO TWY K.
A110-45 B747, B777, A330, A340 OR LARGER ACFT ON TWY S PROHIBITED FROM NORTHBOUND TURNS ONTO TWY P.
A110-46 ACFT PARKING AND CONTRACT GROUND SERVICES ARE LIMITED FOR NON-SCHEDULED OPERATIONS. FOR SCHEDULING INFORMATION CALL AIRFIELD OPERATIONS (909) 544-5344. 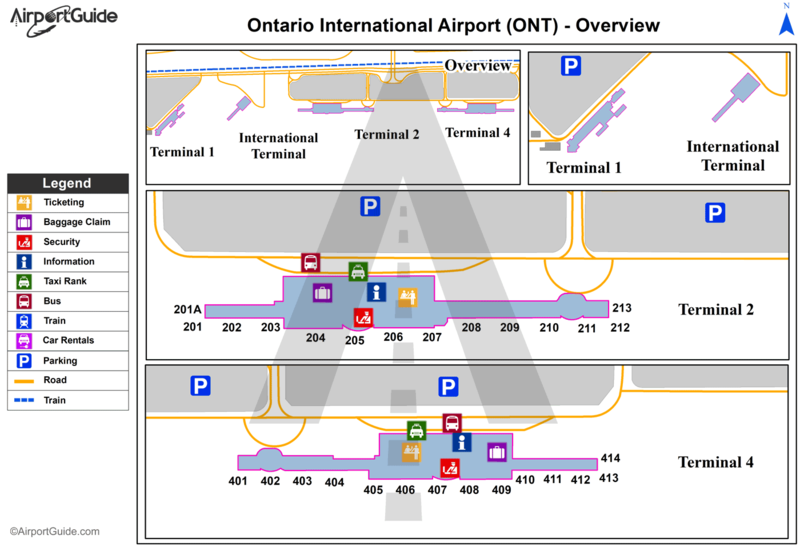 A110-48 TWY Y EAST OF TWY W IS A NON-MOVEMENT AREA; ALL ACFT CTC RAMP CTL 131.325 FOR ACCESS. A110-49 ALL MILITARY AND GENERAL AVIATION (FIXED OR ROTOR WING) ACFT OPS ARE RESTRICTED TO FBO FACILITIES WITH ADVANCE COORDINATION; OVERNIGHT TIEDOWN AND PARKING FEE. A110-50 TWY S SOUTH OF CNTRLN BTN TXLN S-2 AND S-3, AND THE SOUTHERN HALF OF TXLN S-2 AND S-3 ARE NOT VISIBLE FM ATCT; PILOTS USE CAUTION ENTERING TXLN S-2 AND S-3. A110-54 TWY S2 RSTRD TO ACFT WITH 117 FT WINGSPAN AND SMALLER. A57-08L APCH RATIO 50:1 TO DSPLCD THR.